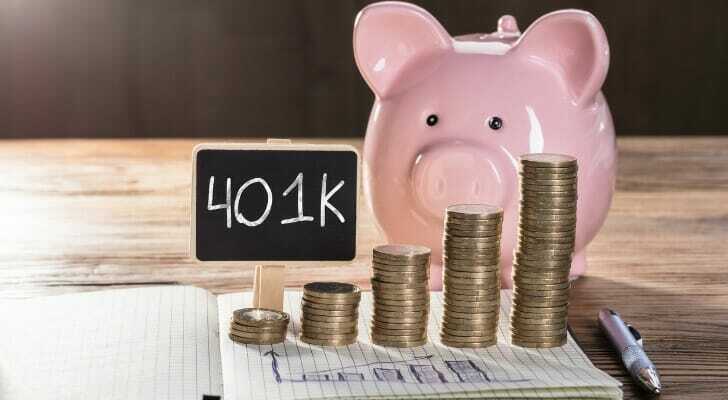 Since pensions have become less common, many Americans now rely on employer-sponsored, defined contribution plans like 401(k)s or 403(b)s to cover their retirement needs. In fact, a recent study from the Investment Company Institute found that $5.3 trillion in assets were invested in 401(k) plans as of December 2017. That’s a 76% increase from the $3 trillion that Americans had invested in 401(k) plans in 2007. Seems like great progress, right? Unfortunately, participants don’t always know exactly how the plans work – or how much they cost. According to a survey from TD Ameritrade, 37% of people don’t believe they pay any 401(k) fees, 22% didn’t know about fees and 14% don’t understand how to determine what fees they pay. Yet 95% of participants in 401(k) plans incur fees and charges. Don’t feel bad if you didn’t know about 401(k) fees. Take the opportunity to learn about these fees and how they’re affecting your retirement savings. What Fees Is Your 401(k) Subject to? Many American workers believe that 401(k) funds charge fewer fees than individual investments, but that isn’t always the case. 401(k) fees fall into three basic categories. The U.S. Department of Labor defines them as investment fees, plan administration fees and individual service fees. Investment fees – usually the largest portion of 401(k) fees – include the cost of investment management and other investment-related services. These fees are generally charged as a percentage of assets. They can be broken down into expense ratios, sales loads and additional costs. Actively managed funds tend to have higher investment fees than passively managed funds. 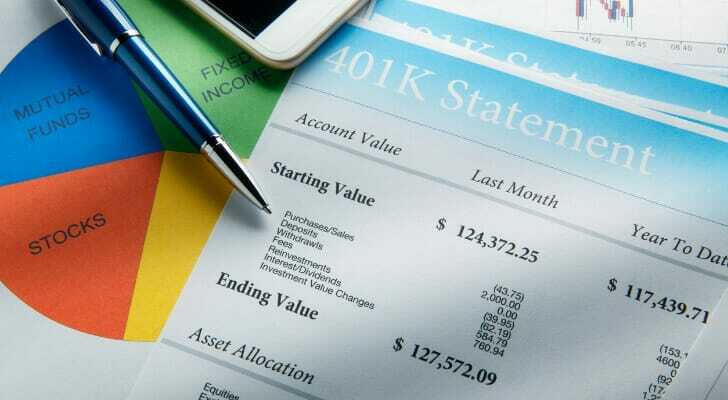 Whether it’s a bank or another financial institution, someone is managing your 401(k). Plan administration fees cover general management like record-keeping, accounting, legal and trustee services. It also contributes to any additional services that you may have access to, like customer service representatives, educational seminars and electronic access to plan information. Some employers pay this fee for account holders, but it’s usually passed to you in the form of a flat fee or a percentage of the total balance. Service fees are like additional administrative fees. They cover features that you opt into, like taking out a 401(k) loan, rolling 401(k) investments over to an IRA or seeking financial advisory services. They’re charged separately to participant accounts whenever the participant takes advantage of a certain feature. Before you do anything other than basic buying and selling within your 401(k), investigate whether the service will incur a fee and if it does, how much it will cost. A recent study by the Center for American Progress (CAP) found that the typical American worker who earns a median salary starting at age 25 will pay about $138,336 in 401(k) fees over their lifetime. The cost is even greater for high-income earners. These figures are reflective of average 401(k) fees, which CAP estimates to be approximately 1% of total plan assets. Another study found that 401(k) participants pay an average all-in fee of 2.22% of their assets, but that there is a wide range between 0.2% and 5%. These percentages may sound small, but they can make a big impact. If your fees are just a fraction of a percentage point higher, that could mean tens of thousands of dollars less in total return from your nest egg. Yale University researchers say that anything above 1% is a “rip-off.” The Department of Labor just requires fees to be “reasonable” and doesn’t specify a certain percentage or total amount that 401(k)s can charge. Fees vary depending on the size of your employer’s 401(k) plan, the number of participants and the employer’s history. Larger companies with more employees tend to pay lower fees. Your fees also reflect how actively your plan’s funds are managed. On the bright side, most studies suggest that 401(k) costs have been falling in recent years. Employers have shifted to lower-cost passively managed funds and collective investment funds to cut back. It’s best to benchmark your savings every few years to make sure you’re still comfortable with your plan. Compare your fees to other 401(k) plans from other providers as well as the industry averages provided here. To help investors make educated decisions, the Department of Labor introduced a fiduciary rule calling for 401(k) fees to be disclosed on statements. Though in limbo under the current administration, the rule also requires that 401(k) administrators always act in the best interest of plan participants. That includes keeping fees low. Still, many investment professionals say 401(k) fees are hiding in plain sight. Administrators don’t send bills every year to demonstrate how much you’re paying for plan management and services. They also don’t itemize fees on statements. Instead, fees are shown in relation to the plan’s reduced net returns. When you receive a 401(k) statement, check for labels like “Total Asset-Based Fees,” “Total Operating Expenses As a %” or “Expense Ratios.” These technical terms aren’t very participant-friendly, but it is possible to figure out what the numbers represent. Understanding your 401(k) fees can help you make informed retirement savings decisions. If you think your fees are too high, investigate whether your plans has a low-fee fund option. You can also ask your employer or HR department to include more low-cost investment options in your company plan. Just remember that cheaper plans aren’t always better. Different asset classes tend to carry different fees, so it all depends on your desired asset allocation between large-cap stocks, small-cap stocks and beyond. If none of your employer-sponsored options match your needs, you can also open an individual retirement account with low fees and go it alone. Though if your company offers matching donations, that may not make sense. Matches often make up for 401(k) fees. Take full stock of your finances and assess your goals before making the decision. Start sooner than later. While saving for retirement might be the last thing on your mind when you’re 25, you’ll thank yourself later. The longer your money is invested in a 401(k), the greater your return on your savings will be. Work with a financial advisor. According to industry experts, people who work with a financial advisor are twice as likely to be on track to meet their retirement goals. You can find a qualified fiduciary to meet your needs through SmartAsset’s financial advisor matching tool. After you answer a series of questions about your goals and current financial situation, the program will pair you with up to three advisors who match what you’re looking for. You can then view the advisors’ profiles, interview them and choose who is right for you.